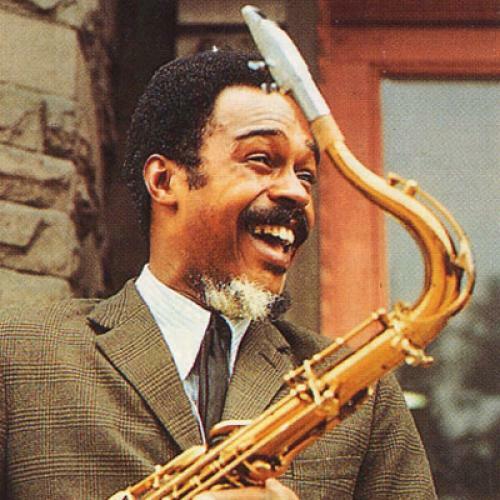 At the risk of straining a flimsy journalistic gimmick, I’m going to use the less-than-momentous occasion of the seventy-fifth anniversary of his birth on July 13 to bring up Albert Ayler, the late saxophonist whose music had something rare in jazz during his short lifetime and rarer still today. Ayler, who died at the age of 34 in 1970, was a musical hellhound, an avant-gardist with Cecil Taylor’s fascination with unheard sounds and Buddy Guy’s blues fire. No one else in jazz has ever sounded like him, though his spirit hovers today over the noise bands on the fringes of rock. While Ayler was alive, I was still in elementary school and listening to the Monkees. I was in my twenties, living in Greenwich Village, and deep in my first and worst pretentious phase when I discovered Ayler. At the time, I heard the assaults of an anarchist in the volatile intractability of Ayler’s wild improvisations over simple melodies and song forms derived from marching-band music and nursery rhymes. I thought of Ayler as the wildest boy in the schoolyard, which is exactly what hopeless nerds like me fantasized of being. Over the years, I’ve come to recognize and appreciate the joy, the playfulness in Ayler’s work, and I can understand why he tended to talk about his music in spiritual terms. I hear in Ayler’s music less assault and more exultation—the pleasure screams of an artist allowing himself to do whatever pleases him. Or maybe I’m just projecting self-satisfaction on an artist who ended up abandoning not only music, but life before he reached middle age. Ayler drowned to death, apparently after jumping off the Staten Island Ferry, though the exact circumstances of his death will probably never be determined.